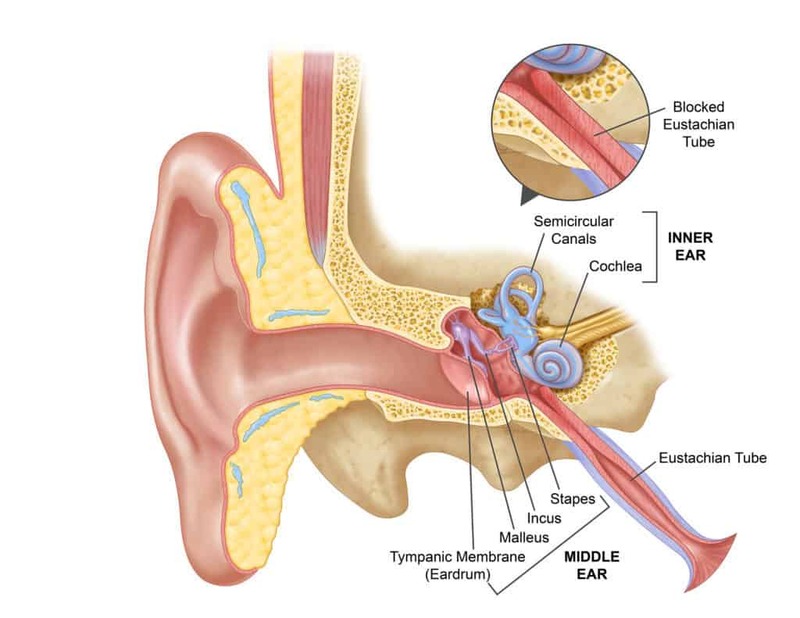 Eustachian tube dysfunction is a condition where the eustachian tube cannot function properly, causing muffled hearing. The eustachian tube is a long piece of cartilage opening into the nasopharyngeal cavity, a space behind the nose which connects the middle ear to the nostrils. When swallowing, the structure opens, equalising pressure in the middle and outer ear. If the structure does not function as normal, the pressure builds up and causes “blocked” ears. Altitude changes (e.g. when flying on a plane or diving). Symptoms include abnormal pressure in the ears, muffled (quiet) hearing or a feeling of “blocked” ears. Eustachian tube dysfunction can be treated with nasal sprays and antibiotics, but these are usually not successful with chronic eustachian tube dysfunction. Chronic eustachian tube dysfunction can be treated with balloon dilation. Balloon dilation is fairly non-invasive and performed under a general anaesthetic. The surgeon inserts a balloon catheter into the nose or mouth until it enters the eustachian tube cartilage. The balloon is inflated for two minutes so it can create enough pressure to dilate the tube. This will normally restore full tube function. After surgery, it is recommended the patient trains their newly dilated tubes by pinching their nose shut and trying to blow out of it three to five times a day.